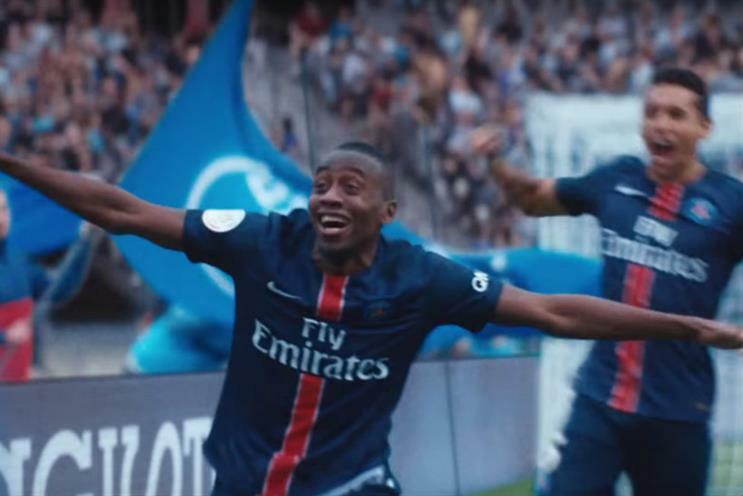 Nike has launched a 90-second video ad on YouTube that depicts the rise of French football star Blaise Matuidi, with footballing action from his boyhood to today intercut with cosmic imagery of a supernova and rocketing asteroids. The Wieden + Kennedy Amsterdam-produced Spark Brilliance kicks off by linking Matuidi’s sporting roots to Nigeran player Jay-Jay Okocha, which is followed by shots of him dribbling, doing press-ups, sprinting across a concrete pitch in Paris’s projects, and playing at international games, with each period from his career segueing seamlessly into the next. The ad extends beyond the football pitch to show how Matuidi has influenced style and culture, including the hip-hop of Niska. The ad features the new France football kit, which was unveiled last month. It is part of Nike’s 2016 global football platform and will be supported with 60-, 20- and 15-second versions, a well as digital and influencer activity.